Looking for a delicious, healthy treat to cool off with this summer? Here's a perfect option! And if you kids are like mine, they will love joining in on the popsicle making fun! Strawberry Mixture: Puree 3/4 cup chopped strawberries, 2 tablespoons yogurt, 1 1/2 tablespoons milk, and 1 1/2 tablespoons agave sweetener together in a blender. Blueberry Mixture: Puree 3/4 cup blueberries, 2 tablespoons yogurt, 2 tablespoons milk, and 1 tablespoon agave sweetener together in a blender. Yogurt Mixture: Mix 3/4 cup yogurt, 1 1/2 tablespoons milk, and 1 tablespoon agave sweetener together in a blender. Making the popsicles: Layer the fruit and yogurt mixtures into a Zoku Quick Pop maker or other popsicle mold along with a popsicle stick. Freeze the mixtures. Remove your popsicles from their mold and enjoy! 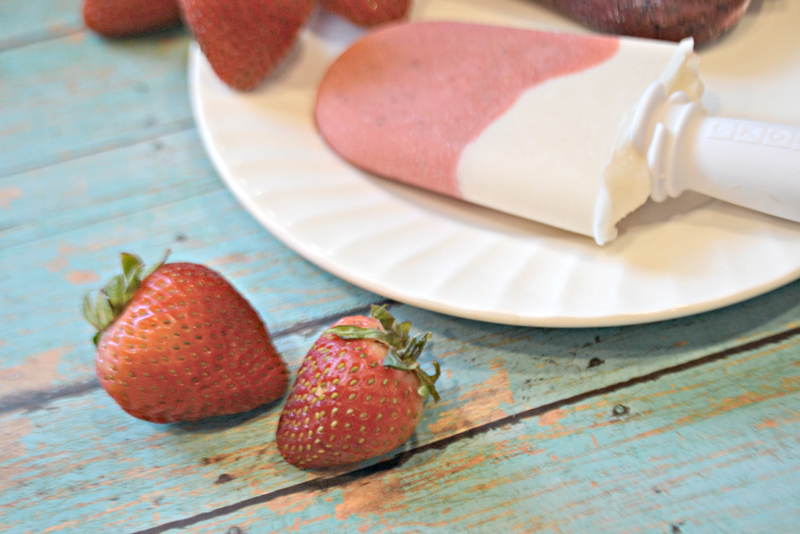 Are you looking for even more popsicle recipes? 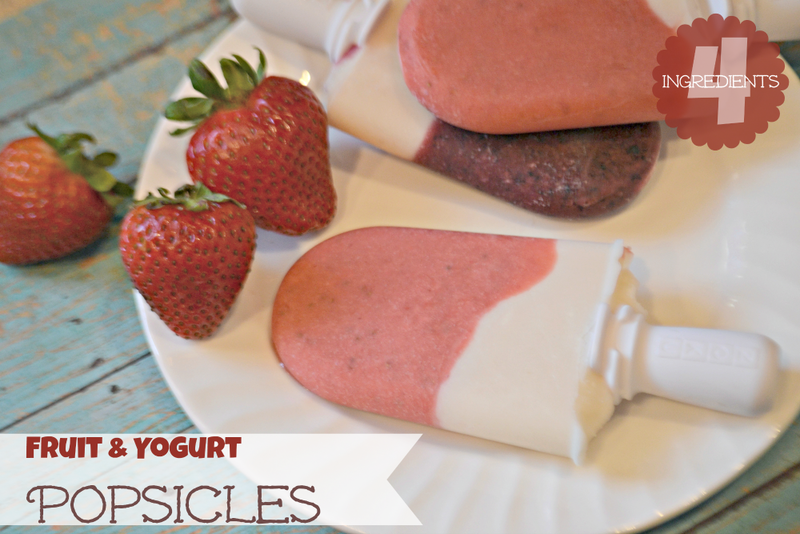 Try my recipe for Cherry Smoothie Popsicles or the Bananaberry Popsicles my sister made. My kids' eating habits lately have been HORRIBLE. I plan to give this a try to get some good stuff into them. Thanks for the great easy recipe!